4×4 remote control car for kids with oversized tires enabling it to adapt to off-road and tricky obstacles in its path. What fun! The rock master rock crawler has high strength shocks you normally only see on more expensive RC car vehicles. RC car is about 26cm long. 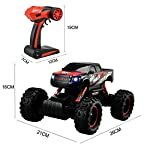 Why is this Rock Crawler RC Car (4×4 Remote Regulate Car For Kids) better than other competing models? 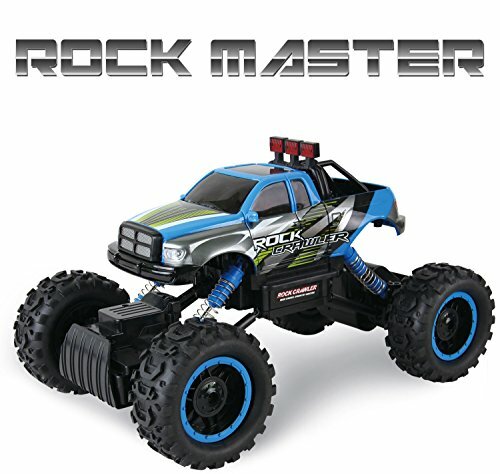 The Rock Master Rock Crawler works on a 2.4Ghz frequency, which means that it may be controlled from further away (Models not on this frequency will lose Regulate at a lower distance which can be very annoying). 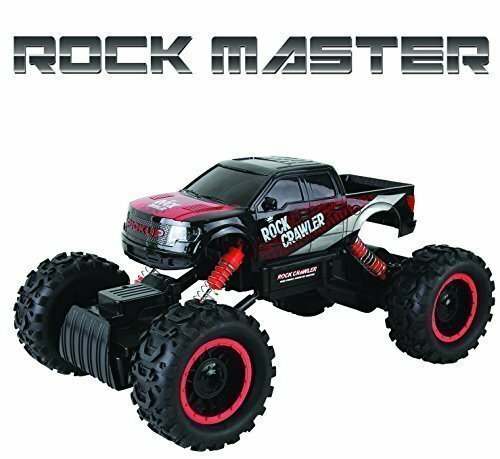 Perhaps even more importantly, 2.4Ghz means unlimited Rock Master RC Cars can be controlled and played with at the same time, as a unused channel is automatically selected by the toy when it is turned on. Buy several and your kids plus friends will be occupied for hours. 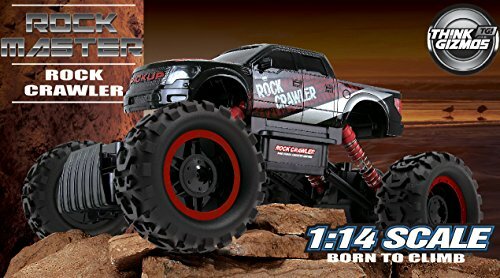 This Rock Crawler R/C Car looks awesome. It has fully working headlights, and with oversized tires and proper front and rear suspension, it looks adore it means business. 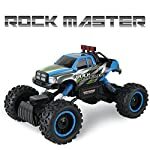 The Rock Crawler toy car is not made for speed but is superb at crawling over objects both inside and outside, providing hours of fun for kids of all ages. From tall grass and gravel to small rocks, this tough toy can’t be stopped, making it one of the vital fun remote Regulate cars for boys you’ll buy. 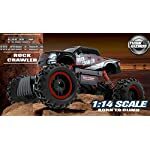 If you’re on the lookout for an awesome gift for any child, this 4×4 RC Rock Crawler is exactly what you’ve been on the lookout for! Everything required, including batteries is in the box. The remote controlled car is 1/14 size, so about 26cm long. The awesome looking pro style controller is about 19cm tall. 4×4 remote Regulate car for kids with oversized tires enabling it to adapt to off-road and tricky obstacles in its path. What fun! BONUS! Comes with everything included, even all required batteries, plus even an extra set for the car itself – 6 x AA for the crawler and 3 x AA for the controller. Cool controller works on 2.4Ghz (Similar remote Regulate cars only have Tri-Channel). Gives increased Regulate distance and multiple cars can be played with at the same time.